Availability: This product is discontinued and no longer available for purchase. For alternatives browse our Junior Squash department. 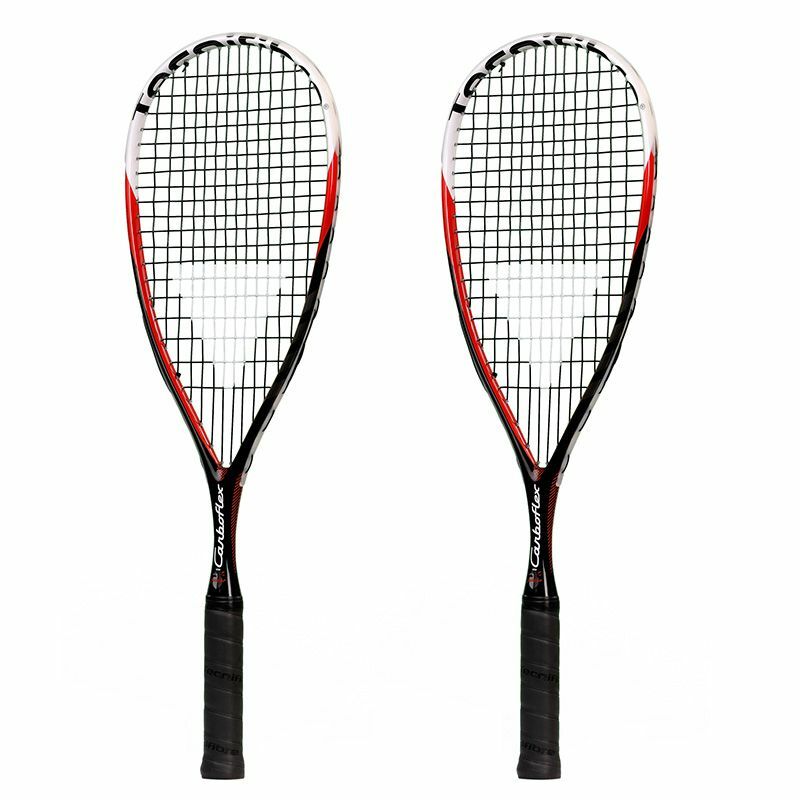 Tecnifibre Carboflex Junior squash racket double pack includes two frames strung with a synthetic gut string and designed to provide young players with adult racket properties. The frames are made from graphite and aluminium to ensure improved durability and higher inertia, which results in more powerful and accurate shots. They weigh 175g (6.1oz) each and are head light balanced to make them easier to manoeuvre. Each of them is 25" (63cm) long and has a 77.5in2 (500cm2) head with an open 14x19 string pattern that helps generate more spin. The rackets are supplied with head covers. 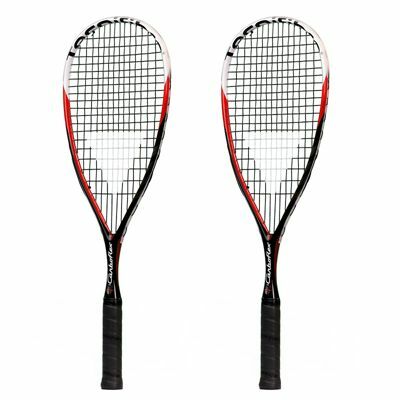 for submitting product review about Tecnifibre Carboflex Junior Squash Racket Double Pack SS14.